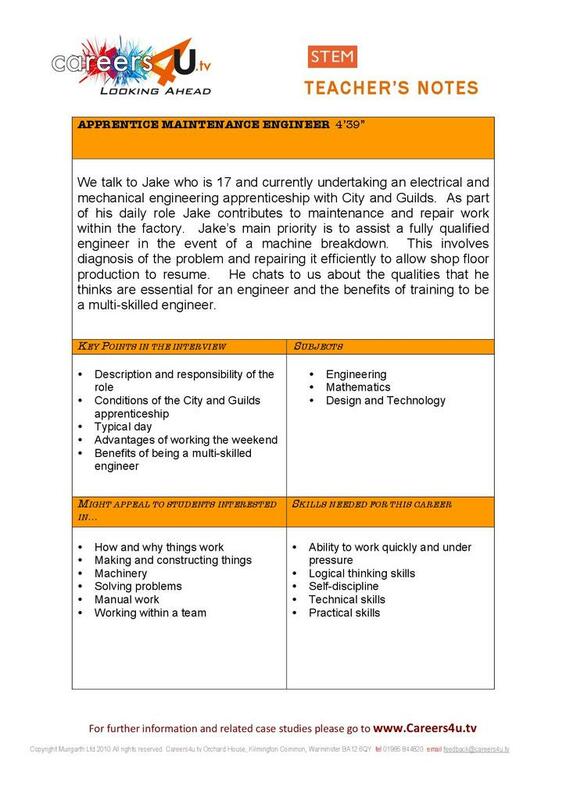 In this Careers4u.tv video, Jake Honour talks about his apprenticeship in electrical and mechanical engineering. He works for a company that produces packaging and his daily tasks include maintenance, servicing and repair of machinery. Jake's main priority is to assist a fully qualified engineer in the event of a machine breakdown. This involves fault diagnosis and efficient repair to allow production to resume as quickly as possible. Jake talks about the interests which led him to chose a career in engineering. He describes the qualities that he thinks are essential in an engineer and the benefits of training to be a multi-skilled engineer.